WASHINGTON — As the initial shock of the president's order to create a Space Force wears off, the question of "what comes next" looms large for the Pentagon. With the U.S. Air Force poised for a major breakup if and when the Space Force is formed, leaders on Tuesday moved quickly to allay fears and assure airmen that business, for now, will go on as usual. "Our focus must remain on the mission as we continue to accelerate the space warfighting capabilities required to support the National Defense Strategy," the letter continued. "We remain the best in the world in space and our adversaries know it." The Pentagon that is known to have a plan for everything does not have one for how to create a Space Force, at least not yet. A study ordered by Congress in the 2018 defense policy bill — to examine options for reorganizing the Air Force with a separate space branch — could provide guidance. But that report — outsourced to the government-funded think tank Center for Naval Analyses — is not expected to be completed until the end of the year. Under any scenario, only Congress has the authority to reorganize the military or create a new service, so the Pentagon likely will not take any action until after Congress puts forth a proposal. Space and defense analyst Todd Harrison, of the Center for Strategic and International Studies, said Congress will probably make the Space Force a major agenda item in the defense policy bill for fiscal year 2020. Meantime, it appears that Defense Secretary Jim Mattis will turn to his own advisers for options that he could present to the president or to lawmakers if asked to do so. Mattis' chief spokesperson Dana White said in a statement that the Defense Policy Board "will begin working on this issue." On Capitol Hill, there are mixed views on the Space Force. Although the House voted for the creation of a Space Corps last year, the Senate was not on board. And with President Trump now leading the charge, things could get complicated as members will want to make sure the executive branch is respectful of Congress' powers to "organize, train and equip" the U.S. armed forces. Further, the president and the House have different definitions of a Space Force. Trump characterized it as a separate, independent branch of the military, whereas the Space Corps the House proposed would be under the Department of the Air Force. Former Air Force Secretary Deborah Lee James, who fought back the Space Corps proposal when she served during the Obama administration, said Trump's mandate has created an awkward situation for the Air Force and DoD senior leadership. "It's no secret that the institutional Air Force and the secretary of defense all were opposed to this," James told SpaceNews. "But now they're stuck," she said. "If they want to keep their jobs, they have to do something." What happens next is anybody's guess, James said. "But what is certain is that the Air Force and the DoD have to come up with something to back up what the president said." She suggested it would be wise for Mattis to come up with multiple roadmaps for how to create a Space Force and hope that the president agrees with the option "that would do the least harm." That would be one that does not break up the Air Force, said James. "All this depends on how willing to fight Secretary Mattis is." One way to do this is what the House voted for: a Space Corps that is independent like the Marine Corps but is under the Department of the Air Force. Another possibility would be to elevate Air Force Space Command and call it a Space Force. The least palatable option for the Air Force would be a full blown space service with its own civilian leadership that also oversees Army and Navy space assets, and the budget that goes with them. James insisted that the rationale for a separate service has not been clearly explained. "What problems are we trying to solve?" she asked. If funding is the issue, that does not get solved by reorganization. If the speed of acquisition programs is the problem, the Air Force is moving to fix that. Is there a cultural divide between air and space forces? Yes, but that is not uncommon in the military, she pointed out. The submariners in the Navy are different from the aviators. And the artillery branch in the Army is not like the infantry. "Space is so integral to everything we do in the Air Force," said James. "We want to integrate, not disintegrate." Doug Loverro, former deputy assistant secretary of defense for space policy, said it makes sense for Mattis to engage the Defense Policy Board. "The policy board is the right place for this to be discussed along with the Joint Chiefs of Staff and U.S. Strategic Command," he told SpaceNews. 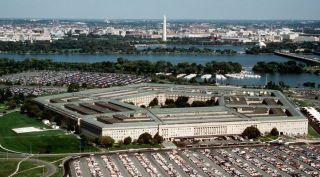 "Most people don't understand the role of the policy arm of the Pentagon, but it is the primary arm of the Office of the Secretary of Defense for advising the SecDef on any policy matters both internal and external to the DoD," said Loverro. Board member Wanda Austin is the former CEO of The Aerospace Corporation and would be the most knowledgeable about space technology. Former Defense Secretary William Perry has extensive experience in space matters, and he serves on many industry advisory boards that execute space programs, Loverro noted. Frank Miller led national security space activities for the Bush White House. Rudy de Leon was acting undersecretary of the Air Force, and Jane Harman oversaw space intelligence programs on the House Permanent Select Committee on Intelligence. "So while none of them have deep detailed space organizational knowledge, they understand the subject matter."